I understand that this form is a statement of interest in membership of a society on my behalf and that further steps may be necessary before being considered for membership. I understand that my details will be forwarded to the society for inclusion on future society communications. 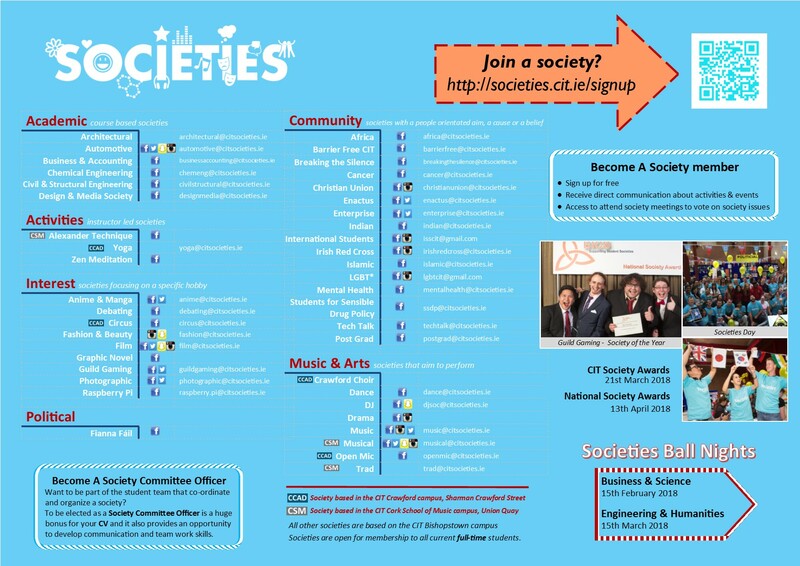 Membership of a CIT Society is only open to full time registered students.